Most lazy activities don’t need much explanation—just an initial idea. So if you’re not feeling like being fancy, or even very active at all, but still want to spend time together, try some of these lazy date ideas. There’s just something about porch sitting that’s relaxing and conversational. Get out a book and take turns reading. It’s funner than it may sound. Sometimes laziness comes out of a desire to not be doing something different than what you’re already doing. So, just do it together! You can’t lose with this one. What girl can refuse a guy who says, “Let’s just sit and talk,” and what guy can refuse a girl who says, “Let’s make popcorn!”? Do both, and everyone’s happy. Or a bus works, too. Light-rail might have more comfortable seats, though, depending on what city you’re in. Don’t wander aimlessly over the web, but get on Facebook or Twitter, and read each other’s walls. Find cool stuff to pin on Pinterest. Don’t do this every date, but it’s a date most people will enjoy on a lazy day. Admit it, you used to hang out with friends and just listen to music. Why not do it with a date? Plus you’ll find out their music preferences and values. Grass is great for that. Plus if there’s ever a lull in the conversation, you can always start a grass fight. Get a star map (they have an app for that) and a telescope or pair of binoculars, and go to a location at least a few miles out of town after dark and look at the stars. Try to identify constellations, galaxies, and any nebulae you can find. Get a field guide to… anything! Then go to an appropriate location and look up everything you can. They have field guides for all kinds of things: birds, trees, bugs, flowers, animals, edible plants, rocks and minerals—whatever you both might find interesting, go out searching for them, identifying as many as possible. You may want to bring a camera or two to catch your own photos of your findings. Planetariums can be so much fun when you go with an attitude of curiosity. If they have a lazer/star show, go to it. If they have experiments and gravity suits to try, do it. And don’t forget to check out the gift shop. There’s usually a lot of cool stuff in there, too. Sometimes art galleries can seem either boring or overwhelming to most people. Take your date to one, but instead of just passively admiring all the works, go with the idea of finding one piece that especially stands out to each of you. Get a good look around to make sure it’s the one that most catches your interest, and tell each other why that piece is your favorite. Another fun thing to do at an art gallery is to come up with stories about the paintings. Make up scenarios that “explain” what’s going on. Be as detailed as possible. You may learn a lot about your date from their stories. Yes, it’s cliché, and yes, it’s still way fun. And believe it or not, most Zoos are open year round. There are dozens of kinds of museums. There are history museums, church museums, science museums, art museums, children’s museums, animal museums (think giant aquarium), and even human museums (I’ve never been to a body museum, and don’t think I’d like to, but just saying). Go to the museum you think your date would most enjoy. You can learn a lot about a person by observing how they learn. Decide on a new skill to learn and use whatever resources you can to learn how to do it. The Internet is the obvious one, but there are also libraries, classes, and experts around that might help you learn a skill. Ask your date if there’s something he/she’s always wanted to learn to do, and learn it together. It could be dancing, karate, origami, microscope study, cooking, auto-mechanics, basketball, graphic design, plumbing, weaving, rock-tumbling, or any number of things. Learn it together. Then follow up with each other on later dates, or practice together. Go to a local professional garden park such as the Botanical Gardens, Red Butte Gardens, the Gardens at Thanksgiving point, and many of these gardens have annual events. Visit a local professional garden. You might want to bring a field guide along. Find out what your date is geek about (maybe they LOVE examining the back of Afghans, or are a rifle nut), and go to a store, show, or festival surrounding that thing. People always love talking about about their own interests, and regardless of what you think of it all, your date will have a great time talking to you about it. Allow them to show you all the cool stuff that you may not yet know. 2. Request that they use “hi-float.” It’s a goop they put in the balloon just before pumping it up that keeps the helium from leaking out slowly–yes this step is necessary. If you use a mylar balloon, it’s not necessary. 3. Write on the balloon with a sharpie, something like, “Book Signing, taking place right now near the candy section,” with your name and the name of your book. 4. Cut the ribbon off so that you only have about six inches left hanging from the balloon. 5. Tie your business card or bookmark (relating to the book you’re signing, of course) to the 6 inches of string. 6. Find something to add additional weight to the string, such as paperclips or aluminum foil. I used half of a chocolate kiss, still in the wrapper. The idea here is to add just enough weight to keep your balloon in stasis, so it doesn’t float up or fall down. Obviously it won’t stay put, and will drift up and down some, but you want to get it as close as possible to balanced. 7. 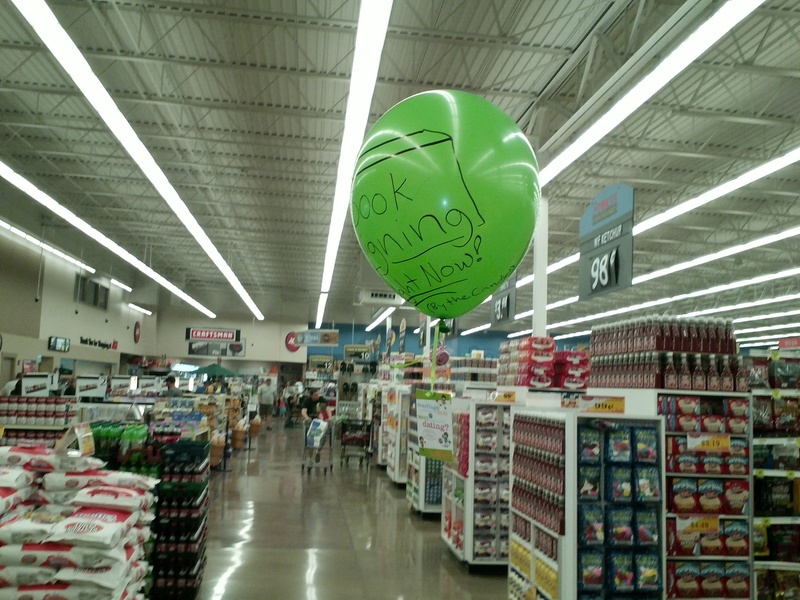 Walk your blimp balloon to a decent traffic area of the store and let it go. 8. Go back to your table, and enjoy the signing! You can now ignore your balloon. What will happen is the balloon will slowly drift toward any moving air. If someone walks by, it will follow them. If there’s a fan, it will do laps around the store. If you have a quiet moment with no one around, you can check on your traveling marketers. If they’ve fallen asleep in an obscure corner of the store somewhere, bump them back out. But for the most part, you can totally forget about them and they’ll wander and advertise for you. Don’t try to adjust the balance to make them higher flyers, unless the ceiling is within reach. Don’t weigh them down enough to get stuck on the floor. You want them to wander within an adult’s line of vision. If kids get them, let them play with them. Most parents will eventually tell them to let it go, and may even come by to see you and your book. 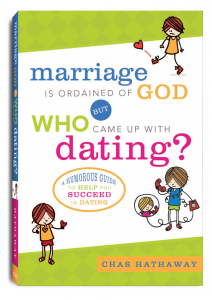 I had a signing for my book, Marriage is Ordained of God, but WhoCame Up with Dating? at the Stokes Market in Salem, Utah, on Saturday, and was glad to see they sold helium balloons. I’d had the idea of trying helium balloons, because we’d had “pet” balloons at home many times, and I was excited to try it. It was a flying success (pun intended). 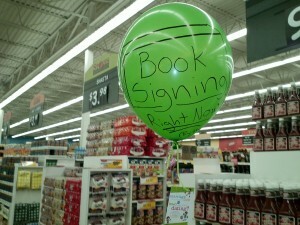 I sent my balloons off at the very beginning of my signing, and it worked great. I was a little worried they might annoy people, but what happened was quite the opposite. 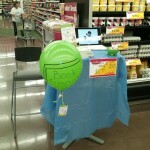 They delighted everyone who saw them, and anyone who stopped to read it looked over to see me smiling next to my table. They did get grabbed by kids a couple times, but only one was taken home. With my first balloon I left the full ribbon on, but it just kept snagging stuff, so I shortened it to the six inches length, and it made all the difference. Balloons are a very personable species, and will try to make friends wherever they go. 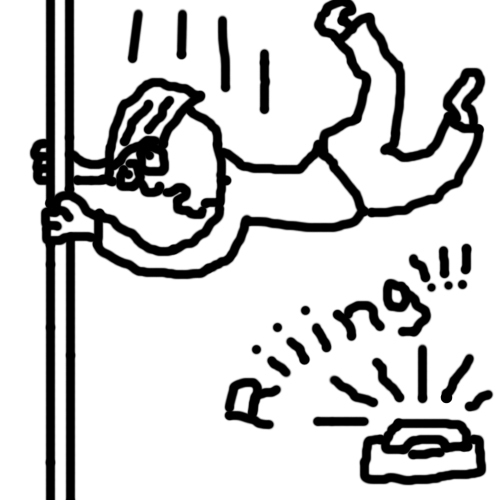 As long as the weights were put on right, and don’t fall off, they stay low enough to reach. I also brought my laptop and had my book trailer looping. I put out a couple bowls of Hershey’s Hugs and Kisses (it is a dating book, after all), which brought a lot of “free-samplers” to the table. The signing went great! I sold some books and lined up a potential fireside and radio interview. I don’t know for sure if the balloons had anything to do with it, but they certainly had something to do with my jolly-good mood. Click this video to start, and then click on a note to play the chord. If you hit the top of the note, it will do the major chord, and the bottom will do the minor. I’ve always wanted to make something like this, and I finally got around to it! On November 1, Jenni I were about to get ready for bed when she mentioned to me that she had a friend who was going to write a novel in a month. 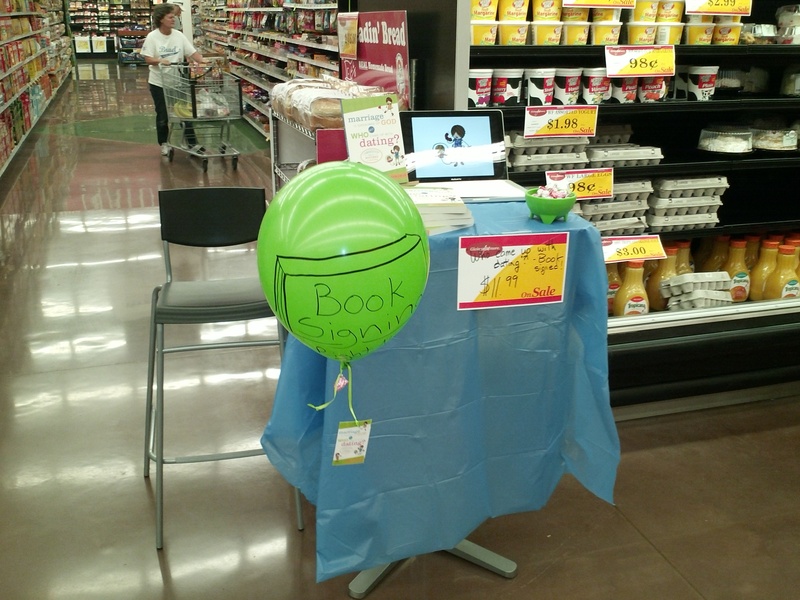 When I asked why he was doing it, she told me about National Novel Writing Month, or NaNoWriMo, and how it was a group that challenged people to write a 50,000 word novel in a month. I laughed, wondering what kind of goof would make such a ridiculous commitment. I love writing, but that would be way too much. Of course, I knew that wasn’t completely true. Anyone who’s been following the Synergetic Novel knows I’ve at least dabbled in the juvenile fiction genre. Then my fingers started to itch. But they wouldn’t be ready for publishing until next year anyway. Then the laptop started calling my name. It was kind of creepy, actually. So then I took a deep breath and realized that I would just have to look at the logistics of it all to convince myself that a commitment like that was impractical for my situation. First off, to get 50,000 words in a month, I’d have to write about 1,500 words a day – your average high-school essay. That’s not a big deal for a couple days, and every day for a whole month? But I knew I’d need weekends off. So at five days a week, I’d have to do 2000 words a day. Then I figured I’d need Thanksgiving weekend off. Let’s just round it up to 2,500 words a day. No way. That’s like a five page essay a DAY! Six, if it includes a bit of dialogue! On a good writing day, I could get about 1,000 words an hour – if there was no research necessary. The Giver is about 43,000 words, Harry Potter and the Sorcerers Stone is about 77,000, and Holes is about 47,000 or so. Even Charlottes Web is only about 32,000. It was almost time for bed – and it was a weekend. If I were to do it, I’d have to start the next day anyway. I’d sleep on it. It’s always a bad idea to make a decision after 10pm. As I showered and got ready for bed, a plot started floating around in my head. It was one I came up with years ago, but had finally rejected because it had too little message to it – a plot with no other purpose than entertainment. I’ve always had a hard time justifying working on a major project that didn’t have some kind of benefit to mankind. Maybe it’s the idealist in me, I don’t know. But if I only had a month to write a book, it would be hard to write it with a grand moral message anyway. To do so would be to risk bombing the novel and the message. So if I was going to bomb a story by taking only a month to write the first draft, it may as well be on a meaningless story. I didn’t dare decide that night whether or not to participate, but if I did decide to do it, I’d use that story. With that thought on my mind, I went to bed. Then the tossing, turning, sleepless night started. All I could think about was the stupid challenge. It was a horrid night, but for some reason, when I woke in the morning, I felt strangely fabulous. I suppose it was because I decided to do it. I determined that after the kids went to bed that night, I would get started. I truly loved it. I had no idea that writing a novel could be so fun. I’ve decided that with fiction, marathoning is the way to go. My first night I got 3,000 words just to give myself a jump-start. Every night after that I did 3,000 words again. I took weekends and Thanksgiving weekend off, and by the end of November, I had 64,000 words. Three days later (Dec 3), I had my last chapter finished, a bunch of plot-holes filled up, and 70,000 words written. So now I have the roughdraft for The Santa Code, and in a couple weeks (it’s always good to put it down and give it some time before redrafting) I’ll begin the second draft. If I do decide to publish it, I’ll let you all know when it’s ready. I hope to have it ready and published by October, since it’s sort of about a Christmas conspiracy, so the holidays would be a good release time. Hard work? You better believe it. The biggest challenge for me was staying awake. I usually go to bed around 10:30pm, but now I was getting ready for bed at midnight, and still having to get up at 6:30am for work. While writing, I made sure to keep snacks and a couple arcade games on hand for five-minute wake-up breaks. Remarkably, I never got bored of the work, and though I did occasionally find myself getting distracted with research for the novel, it turned out to be very helpful. If you love writing, you’d love doing a challenge like this. If you are thinking about it, just do it. You don’t even have to wait till next November when they run the challenge again. Just start writing. If writing isn’t an interest of yours, you probably wouldn’t like it, since it requires a few hours a day writing. But if you enjoy writing, do it! You’ll love it! NaNoWriMo is an annual thing, so you can bet I’ll be at it again in a year. Yay Nano!